The first lady has a problem. Her “Just Move” campaign included a series of US Postal Service stamps picturing kids involved with various sporting activities. They are destroying a bunch of the stamps due to safety concerns. This is not about the dangers of sniffing or licking glue off the back of stamps. We absolutely can not encourage kids to do a cannonball into a pool. 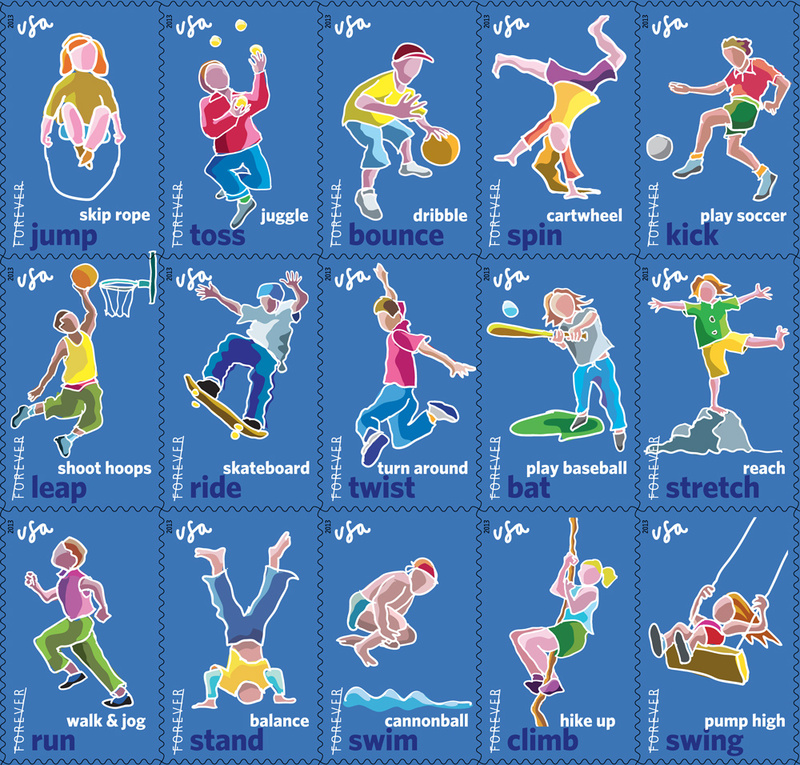 Linn’s Stamp News reports that the US Postal Service will destroy the entire press run of a stamp series aimed at getting children to be more active. According to Linn’s reporter Bill McAllister, three of the stamps in the fifteen stamp series raised safety concerns among sports figures on the President’s Council on Fitness, Sports & Nutrition. 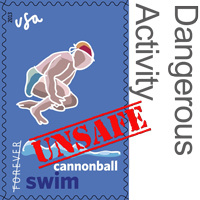 The stamps in question depicted children performing a cannonball dive, skateboarding without kneepads, and doing a headstand without a helmet. The unsafe depictions came to light after USPS Marketing chief Nagisa Manabe asked Michelle Obama to take part in a first day ceremony for the stamps. That was apparently the first time the stamps had been reviewed by the Sports Council. Here is the sheet of “Just Move” stamps. Click on the image to see the full size and do take a few moments to provide the postal service tips on how they can make these illustrations “safer” for the next print run. Add your suggestions in the comments below. 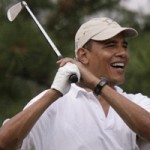 Oh for goodness sakes…. they are illustrations. 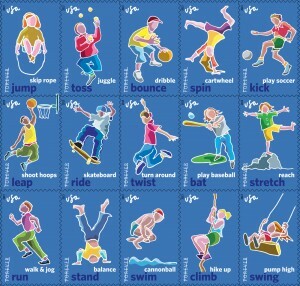 We don’t need a presidential Council on Fitness, Sports & Nutrition and we don’t need these stamps. To nitpick about the illustrations is just stupidity. 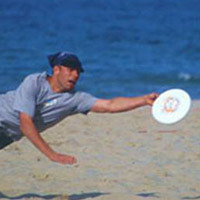 Please remember to add the safety issues you see with these images into the comments section. If we all work together, we can avoid problems like this in the future. Capitalism edges out socialism in poll - Video "Blame The Capitalists"
Government does not always have to "do something"
there is no unsafe child behavior in any of these images. As for waste, throwing the stamps away is the epitome of ?waste. ?In the 60’s we talked constantly about reusing and not to contribute more waste to the environment. Now the monolithic govt is engaging in this stupidity. Where are the greenies when you need them? Why don’t they just print a bunch of stamps with kids in bubbles? There’s no helmut on the cartwheel stamp, that’s only slightly different than a handstand.? The soccer player doesn’t have shin pads and I can’t remember stretching on a hill or rocks or whatever it is during my athletic years.? There isn’t anything in any of those pictures that we did not do as kids 40 years ago without all that safety crap. 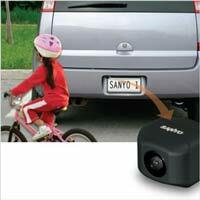 Good intentions for your child’s safety is one thing, but it should not be imposed on everyone.? When will they stop, when will?we get them to see how wrong they are?? Freedom is not following someone else’s set of rules.